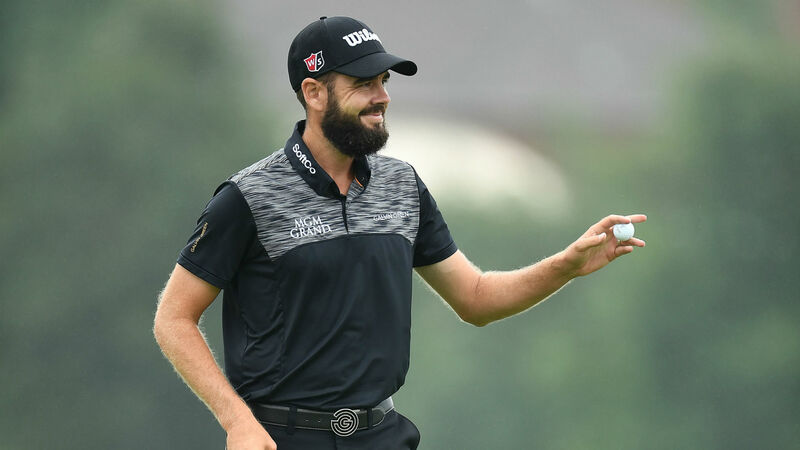 Troy Merritt clinched his second PGA Tour title after an entertaining rare Monday finish at the Barbasol Championship in Kentucky. Heavy rain and thunderstorms forced the event into this week as co-leaders Hunter Mahan, Robert Streb, Tom Lovelady and Merritt waited to tee off in the final round. It was first-round pace-setter Merritt who belatedly pulled clear again, jump-started by a stunning 133-yard eagle at the eighth. Billy Horschel was among three players tied for second after missing a birdie putt at the last for a share of the lead, having earlier started his fourth round with two birdies. Lovelady celebrated his 25th birthday with an eagle at the five-par 14th, but his 68 was only enough to join Horschel one shot back on 22 under. Merritt cruised through the final holes to add to his only previous Tour triumph at the Quicken Loans National. @TroyMerritt_PGA has won @BarbasolChampKY !